10+ Best Hindi Riddles with Answer - School Teacher Love It! Usually, students grasp education when its engaging and interactive rather than mundane and textbook. Hindi, one of the official languages of India, is widely spoken and recognised languages. Thus Hindi Riddles with answers will unquestionably prompt youngsters to learn classroom subjects better. The topics are even better understood if they are taught in the kid’s first language (mother tongue). Meanwhile, such teaching strategy will encourage teacher to teach with more enthusiasm and comprehension. Students will in general realize that when education is fascinating and engaging; it’s interesting. If you are a teacher or a parent looking for an interesting strategy to combine fun and education for students, the best activity is to pick these random Hindi Riddles with answers for all ages in classes 1 to 3, 4 to 6, 8 to 10 and also adults. These simple and short brain teasers can suppress the exhausting ordinary teaching techniques and draw students towards keen and eager learning. Some of them are available on YouTube in English, while few of them are written for crossword puzzles but, most of them are shared on WhatsApp. Interesting! We picked these straightforward, amusing and funny paheliyan on animals, from Bollywood movies, etc., in Hindi with answers which can be recreational for children. Applying this methodology in classroom enhances profitability and proficiency, increases good judgement and draw enthusiasm of the both students and educators. 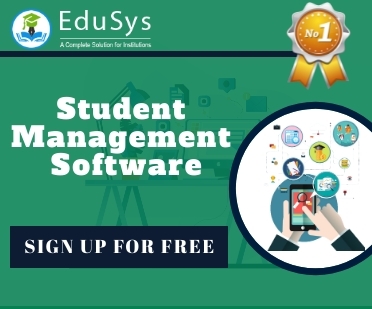 Create Riddles, Quiz Questions and Answers, Feedback forms, and much more with EduSys. पहेली - ऐसा कौन सा खजाना है जिसे जितना ज्यादा लुटाया जाय, वह उतना ही ज्यादा बढ़ता जाता है? पहेली - ऐसा कौन सा फल है जिसके पेट में दांत होते हैं? पहेली - तीन अक्षर का मेरा नाम उल्टा सीधा एक समान? पहेली - मैं सबके पास हूँ। कोई मुझे खो नहीं सकता है। बताओ मैं कौन हूँ? पहेली - ऐसी कौन सी चीज है जो बारिश में चाहें जितनी भीगे, वह कभी गीली नहीं हो सकती है? पहेली - ऐसा कौन सा महीना है जिसमें लोग सबसे कम सोते हैं ? पहेली - सुरेश अगर रीना का पिता है तो सुरेश, रीना के पिता का क्या है? पहेली - वह कौन सी चीज है जो हमेशा दौड़ती ही है, कभी चलती नहीं? पहेली - मेरा भाई बड़ा शैतान, बैठे नाक पर, पकड़े कान ?